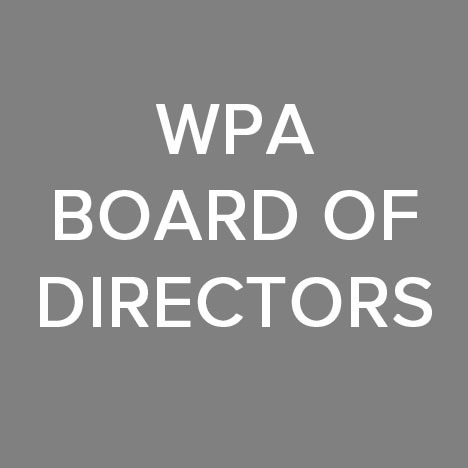 Each year, WPA's Board of Directors makes a selection of work to include in the auction exhibition from artists who have participated in WPA exhibitions, artists whose work is included in the WPA ArtFile Online, artists who have exhibitted in the community or whose work they simply admire. The works chosen reflect a variety of interests and perspective, from those deeply engaged in the community to those who purely have an abiding passion for art and creativitiy. The artists whose works are included inthis section represent a wide specturim in terms of duration of practice and exhibition history as wll as style and medium. Duly noted, this vast breadth of perspective is exactly in keeping with WPA's mission–serving artists at all stages of their careers and giving each an opportunity in the spotlight.